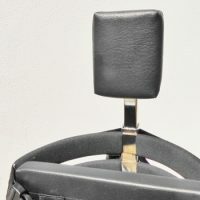 The padded Head Rest is fully adjustable. 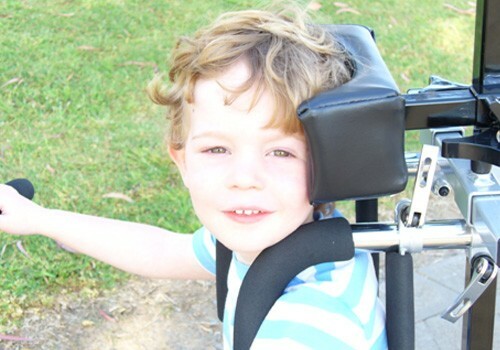 It can move forward, back, up or down, resulting in maximum comfort and rider safety. 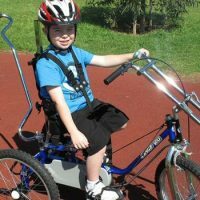 The added advantage of the Total Back Support is it gives greater support and adjustability, allowing the rider to be held in a more forward position which helps to reduce hip extension. 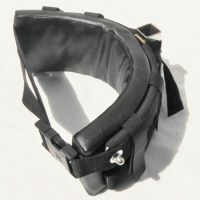 Shoulder Supports prevent the rider from standing up or slumping forward. Choice of a three point harness or bars. 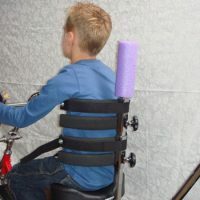 The Back Rest Pole Pad is a cushion to stop the head hitting the upright bar. The Insert Pad gives extra support for the finer person.